Cheers guys.. pressing is going so well.. but I’m starting to think it’s because I don’t really have much intensity going on with the dead’s and squats as I’ve taken them right back and working in form and weakpoints. Maybe this is the way to do it? Next block concentrate on squats and try and just maintain everything then do a block of dead focus.. would be a Slow way to do it but would mean 100% focus on that lift and probably more rapid gains. Today is a rest day after a week of back to back sessions. Much needed. But went in and did some mobility work. A couple headstands ..one with a clap! Quality OH work there. I know you mentioned about working squats again - is knee in a good position to tolerate this? Form wise would you need to change much? Yes I want to start pushing squats, more so then dead’s. I’m happy for my deadlift to remain where it is while I work on bringing up my hamstrings and glutes. I still get a slight bit of discomfort in the morning in the knee but I have a 3minute warm up session when I get up which gets it going. This has helped me loads. The 100kg triples Squats i did this week moved like lightning, I did a 180 box squat with no pain and I’m pushing 300kg in the Leg Press with no pain. Form is good, I made some adjustments with the help of the physio I saw last year so I just kept them. Narrower stance, toes out slightly and it’s not Low Bar but not high bar, it’s kind of in the middle. My only worry is the strength discrepancies between left and right. This causes me to twist slightly when coming up which puts strain on the patella. the plan for next block is something I’ve always wanted to try. A bit of Bulgarian! Squat every day! Work up to a challenging daily max, slash the weight by 10-15%and then do a bit of down work. I’ve worked out my form breakdown when volume or reps are very high.. so the squat everyday plan will let me do minimal daily volume but at a high intensity and over the week I get the volume I need to progress. Bulgarian could be very very fun. Do you programme this on a 4/5 day training week or a full 7 day week? I would imagine you will kee single leg work in addition to keep working on imbalance? What is your opinion on ketchup on a steak? Not on.. we don’t put it ‘on’ anything ...we’re not fvcking savages ! But next to And then dipped in.. oh yes. I have tomato sauce with everything. I am a sauce monster! 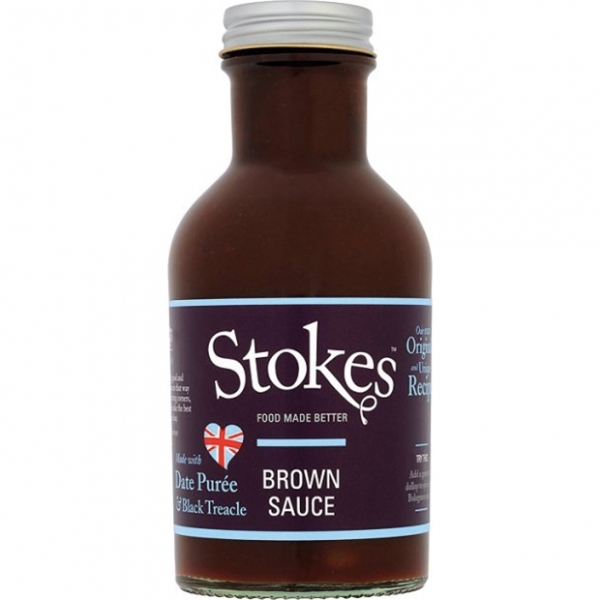 When on keto, I save 10g of carbs a day just for sauce..
Now I'm curious about posh brown sauce. Any recommendations? This Is my favourite ! Date purée and black treacle! Ha when I say rest day.. I mean rest from weights! Bench I just wasn’t feeling it. Moved alright and got everything done but it just felt laboured. Squats. Feeling good. Did a bit more volume the usual,legs feeling it now, especially groin and hips.. my quads are fine, I think it’s going to be a case of getting all the stabilisers up to scratch. I'll just say I don't think it's a good idea to do squats every day with a knee like yours. Slow and steady wins the race. Putting heaps of volume through it might not be the best idea, even if it is a lighter load. This coming from a bloke that still tries to do questionable back exercises with a dodgy back. That said, some cracking work lately liked the bench PB vid and the push press! This is not just something I’ve decided on a whim, everything I do is thoroughly researched and due diligence undertaken. It’s not heaps of volume through the knee, infact it’s the opposite. Minimal daily volume. While there is lots of bro science in the fitness world, the Bulgarians and Soviet’s literally recorded absolutely everything they did. There is tons of real world evidence to their training methods. Lots of research has been done on tendon and ligaments which shows tendon size and strength increases with chronic, repeated loading. Yes you would risk injury if you were truly making out everyday but on this program you use a daily max which is a single rep you can lift with perfect form. This Is probably at 90% of your max. You don’t chase PBs, you don’t psych yourself up. The major benefit is practice. The only way to get better at something is practice practice practice. Lifting is a skill and the more you practice the better you get. Swimmers get in the pool everyday, runners run everyday, lifting is not different as long as a structured plan is properly in place ! Deadlift form is feeling good. Much better then a few weeks ago. But the lack of actual weight on the bar meant 180 felt heavy, despite moving well. Out for a long walk on the beach now.